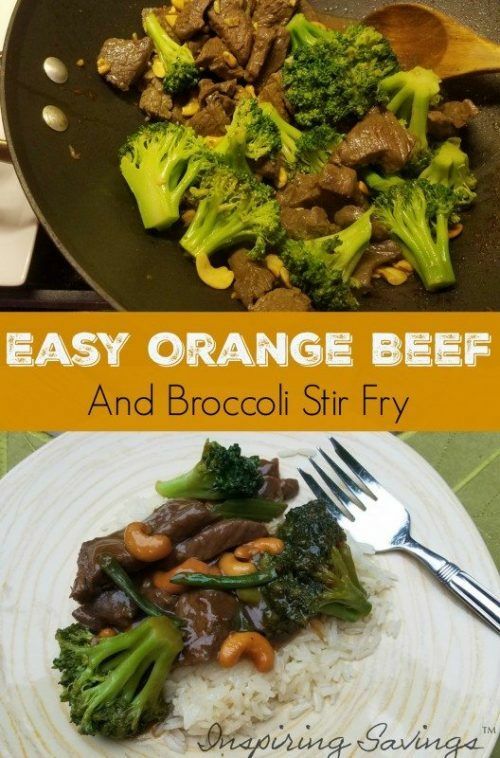 This Easy Orange Beef and Broccoli Stir Fry is loaded with lots of flavor and color. Taste much better than take out and is healthier for you. So delicious and satisfying and ready in less than 25 minutes! Often times during the week our family is super busy. Give us a fast and tasty recipe and my family will be grateful. 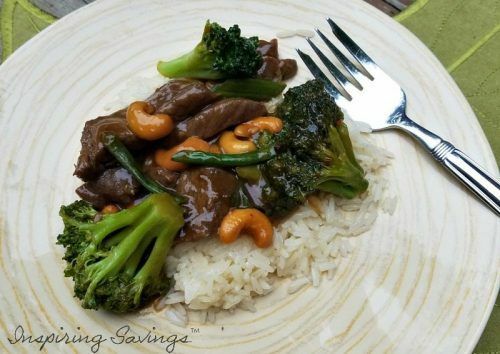 Our new family favorite is this Easy Orange Beef and Broccoli Stir Fry. When it comes to dinner, I suspect I am not the only one racing against the clock to get food on the table. That is why I love anything I can whip up in a short amount of time. (Who is with me?) My family can also be a great help in the kitchen. We love watching cooking shows and we often want to have our own cooking competitions, but instead, I opt for “FUN cooking with the family in the kitchen show”. I get my best Julia Child voice going, while I teach them how to prepare dinner. My daughter (who is seven) helped measure out the wet ingredients, while I sliced the steak and sliced the scallions. She then switched gears and helped prep the broccoli. My son even got involved once he saw how much fun we were having whipping up dinner. No matter how short I am on time I will always allow my family to help me out whenever possible. It is ALWAYS about teaching them the skills they need in the kitchen while making it FUN. 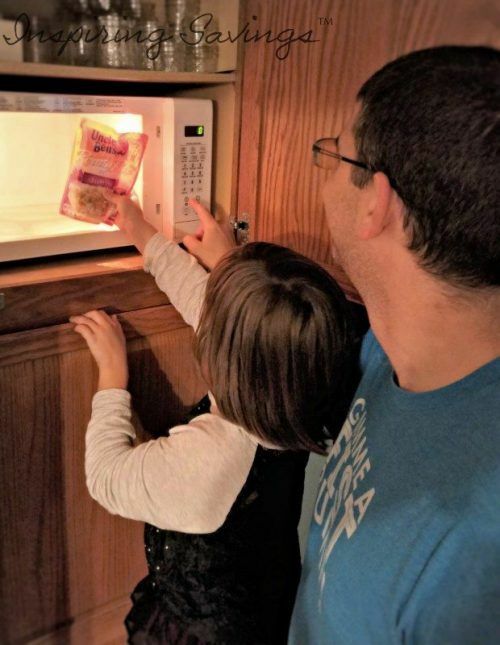 Uncle Ben’s can help you make quick and easy meals with the family even during this busy time of the year when everyone is getting back into a routine. Prepare the beef for cooking. This means slicing it, across the grain, very thinly. Once ready, place your meat in a plastic storage bag and add in a mixture of soy sauce, brown sugar, and ginger. Put aside for later. At this point, you can start chopping your fresh broccoli or pull out a bag of frozen broccoli. My daughter who isn’t quite old enough to be trusted with a big knife still loves to help. 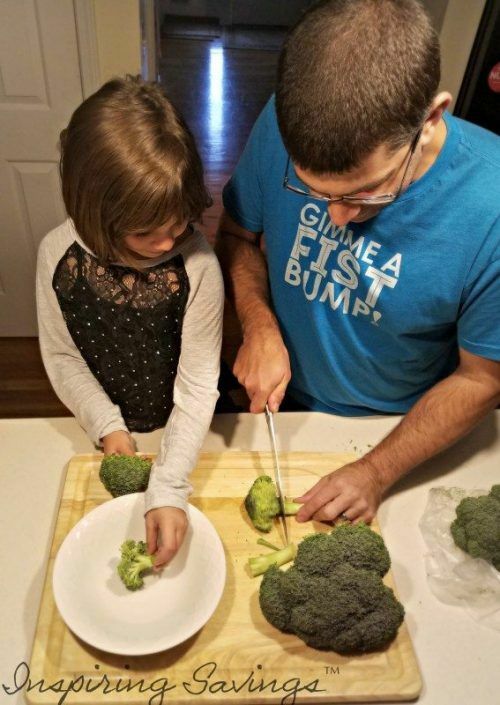 While my husband cuts the broccoli she places it in a bowl. Stir-frying is quick. It’s critical to make sure you have the ingredients chopped and at your fingertips. 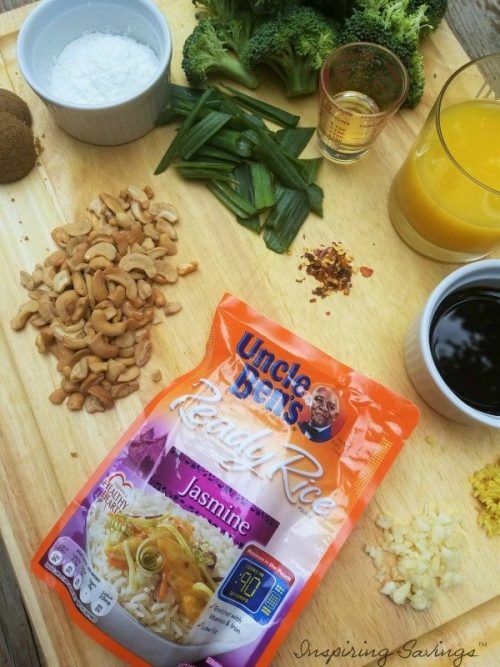 While I am stir-frying away…it is time to get the Uncle Ben’s Ready Rice ready. This meal comes together in a flash. Now after having a blast cooking with your family, it is time to relax! After all, it is dinner time. The most important thing is to enjoy your time with friends and family. 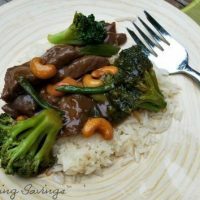 I would love to hear about your experience with our Easy Orange Beef and Broccoli Stir Fry recipe. Give us a comment below. 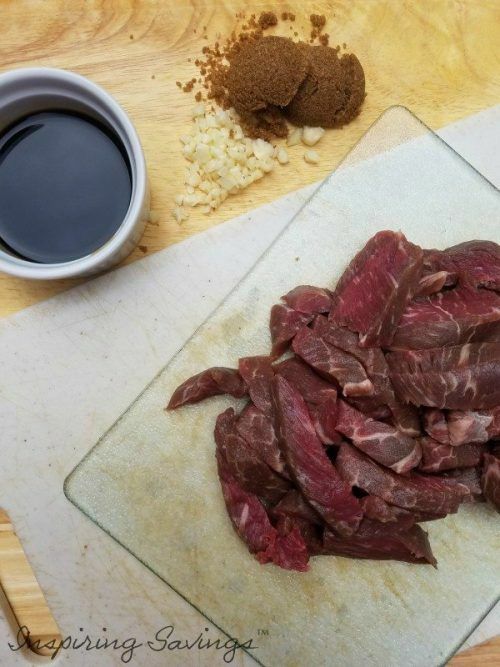 Combine beef, dark brown sugar, 2 tbsp soy sauce and garlic in a plastic food storage bag. Toss until ingredients are incorporated. Set aside while prepping. Meanwhile. place broccoli and 1 tbsp of water in a microwaved safe dish. Cover tightly with plastic wrap. Microwave on high for 2 minutes. Stir together cut scallions, orange juice, remaining soy sauce, cornstarch, rice wine vinegar, fresh ginger, and red pepper flakes. Heat oil (1 tbsp sesame seed oil & vegetable oil) in a wok or larger skillet on high heat. Add beef with marinade. 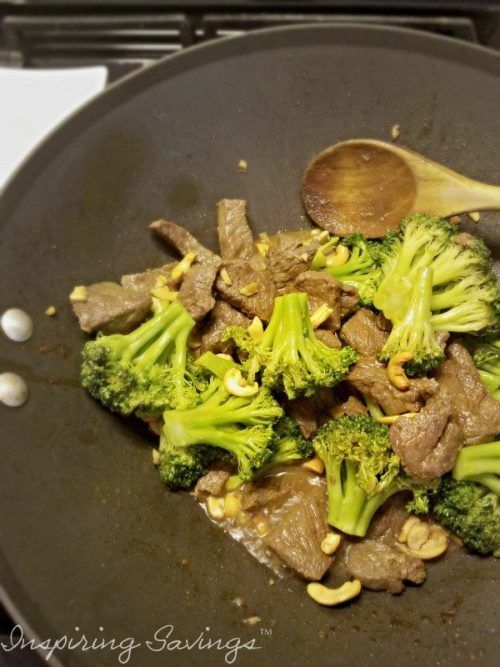 Stir-fry 2 – 4 minutes. Add broccoli. Stir-fry another 2 minutes or until heated through. Add cashews. Cook another minute. Lastly, stir in orange juice liquid mixture. Cook additional 2 – 3 minutes until mixture becomes thickened. Uncle Ben’s has a program to get kids to cook called Ben’s Beginners. It gives them a sense of accomplishment when they can learn to cook. Uncle Ben’s is the perfect helper to make quick and easy meals with your family, especially during this back to school time.